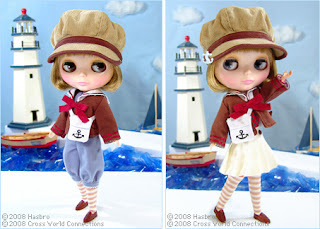 A Rinkya Blog: Happy Harbor & Squiggly Squirrel Blythe New Releases! Happy Harbor & Squiggly Squirrel Blythe New Releases! Only available to customers in Asia, Australia, and New Zealand, so if you are outside that area and want any of the Blythes, order through Rinkya Stores! Happy Harbor Neo Blythe is a limited edition, she has 4 eye colors that change depending upon where she looks, grey, light green, brown and light blue. 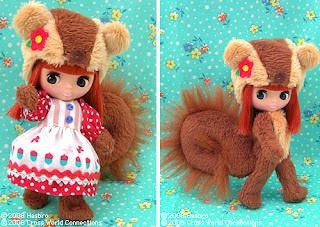 Petite Blythe Squiggly Squirrel is so cute! She comes with both a dress and squirrel outfit!